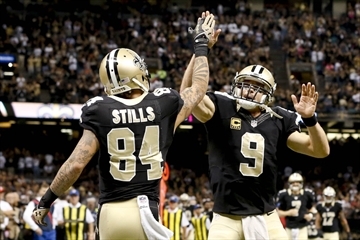 The Saints overcame a sluggish offensive start with a great performance by the defense. To be sure the Saints offense failed to take advantage of the way the defense was playing but did manage to get their helmets on straight and ended up with a 35 -17 victory. Brees to Stills produced some huge yards against the Bills. Brees was able to complete passes to 10 different receivers with rooking Stills making the highlight reel by catching three passes for 129 yards and 2 touchdowns. Let’s put it another way Stills averaged 43.0 yards a catch. Graham also made his presence know by turning two of his three catches into touchdowns. Thomas led the rushing attack with 65 yards on 14 carries for a heathy 4.6 per yard average. The Pass/Run ratio was 34 – 26 and once again the Saints won the time of possession battle by a 32:30 to 27:30 margin. Even with a final score of 35 -17, Coach Payton wasn’t impressed. To listen to the players, it didn’t sound like they were either. That’s one of the differences between the Saints this year and other teams that are in the league. 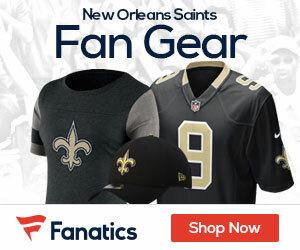 The Saints know what they are after and are taking one game at a time and trying to improve on it. Next Week the Saints face a tough Jets team that cannot be over looked. These Saints won’t be looking past the game, that’s for sure.